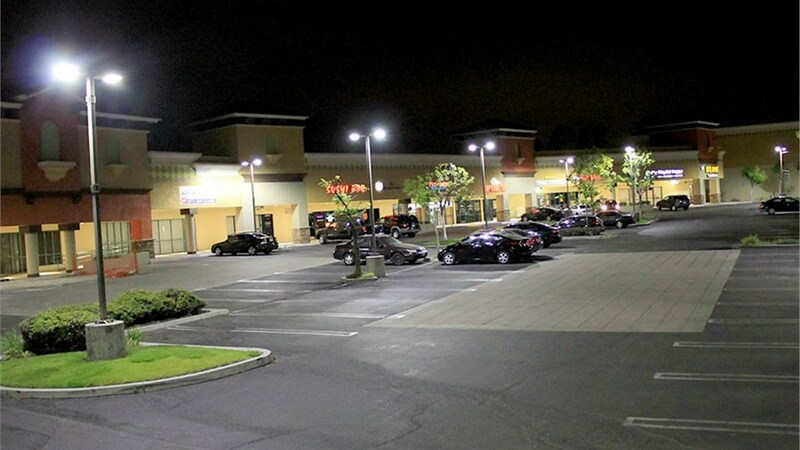 Provide a sense of safety, security, and professionalism with well-placed, highly illuminating parking lot lights. Well-designed parking lot lights are essential to businesses of all industries, sizes, and locations across Dallas. Not only do they give your patrons and employees a sense of heightened safety and security, but they can also impact your company’s bottom line in very tangible ways—from the ongoing costs of lighting and property maintenance to potential claims for business liability insurance. For something so critical to your company’s success, trust only Texas Electrical! 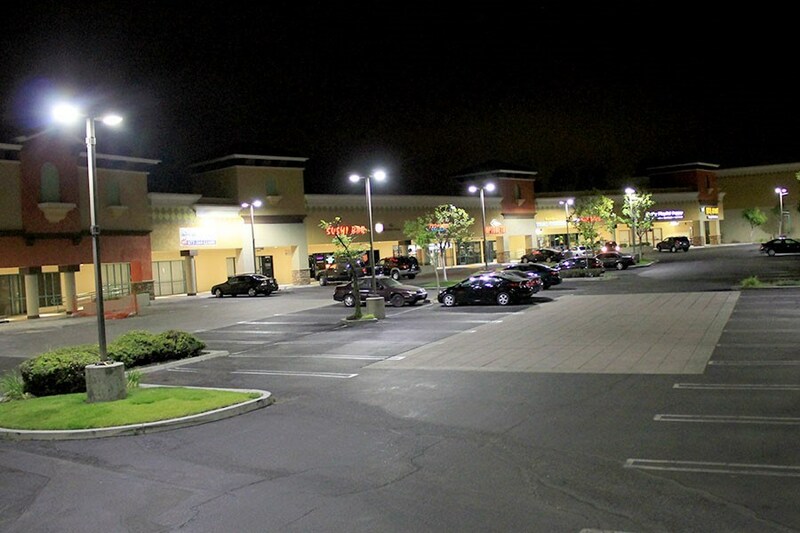 Whether you manage a large retail mall in the metroplex suburbs or a small local diner in Upper Greenville, the right parking lot lights can attract attention to your business while projecting a safe and inviting ambience. At Texas Electrical, we’re a statewide leader in commercial lighting with over 25 years of experience, and we’ve worked with hundreds of organizations—from major national food chains to local DART stations. We offer turnkey expertise in commercial lighting design, from product selection and lighting placement to installation and repair. 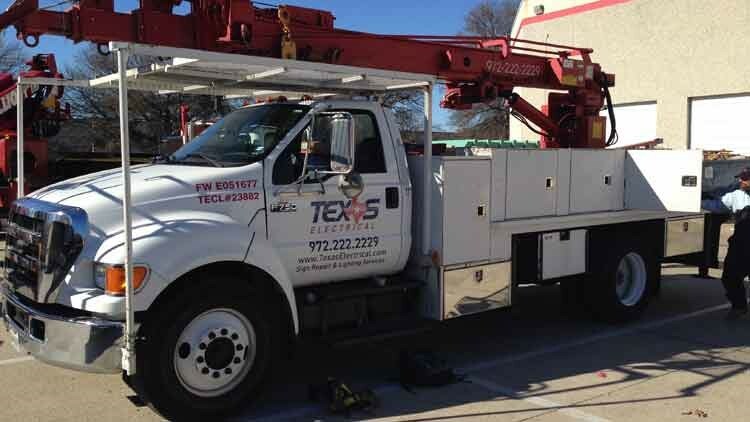 Whether for Dallas parking lot lights or interior signage, every Texas Electrical job is done with supervision from a Master Electrician who’s certified by the State of Texas. We’ve partnered with top-tier brands so that all of our LED lights and other products are sure to provide guaranteed quality and energy efficiency. We come in fully stocked service vehicles and maintain one of the largest inventories of ready-to-go commercial lighting components anywhere. Need Service for Your Parking Lot Lights in Dallas? Call Us Now! In a world where many electricians cut corners to save their own time and money, Texas Electrical doesn’t. We do things carefully, with the utmost attention to detail, and by-the-book to prevent any risk to your facilities and to earn your 100% approval. Call our Dallas commercial lighting experts to learn more about our parking lot lights, or fill out our quick online form to grab your free consultation and cost estimate today!